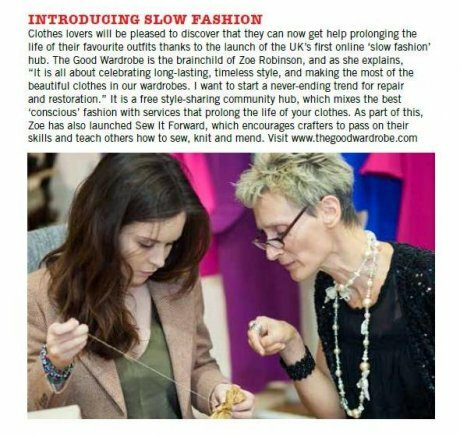 The Good Wardrobe is featured in the news section of the first issue of Reloved Magazine, 'the creative guide to upcycling'. Give your clothes some TLC! "The Good Wardrobe is a fantastic resource with a forum for asking or giving advice. It has also launched a campaign to get London sewing where you can pledge to share your skills."